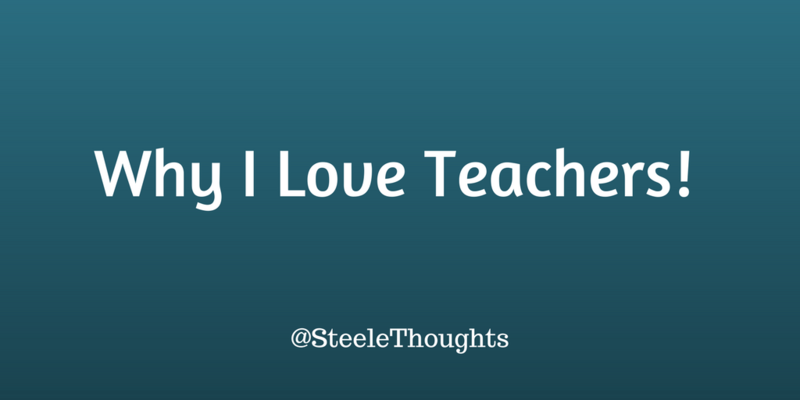 I'm a principal, and I love teachers. I am privileged to see the awesome work they do every day. They understand there is more to teaching than delivering instruction. They respect, encourage, and value their students... so those students leave the class feeling better about themselves. They provide encouragement and support to their colleagues when they're down. They are kind to students when they see them... because they realize that may be the only kindness those students experience all day. They strive to motivate apathetic students. Sometimes their efforts don't seem to make a difference. But they keep trying... because that's what teachers do. They supervise students at their duty and in the hallway in between classes. Their presence helps to deter mischief and ensures a more safe and orderly environment for the kids. They spend countless hours grading papers... because they know their feedback will help students grow. They teach... and then they reteach... and sometimes tutor individually... because they realize not everyone gets it the first time (or even the second time). They define their success by the success of their students. They understand that ultimately, it's not about the teaching; it's about the learning. They learn new ideas from colleagues... and sometimes from the internet... because they are committed to being a better teacher tomorrow than they were today. 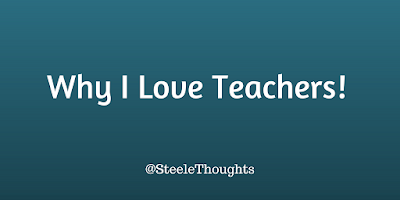 They recognize that they can't control the home environment of their students, but they resolve to give them the best possible classroom environment... one where they feel safe, feel supported, and feel loved, because they know that is the best kind of environment in which to learn. They take time to prepare meaningful lessons... even when they don't feel like they have the time... or the energy. They try to connect with students who don't seem reachable... because they realize they may be their only lifeline. They have patience with the students who may be disruptive and annoying... because they know that those students still need them. They provide structure and organization in their classroom... because they know some students don't have any at home. They strive to be the kind of teacher that they would want their own kids to have. They recognize that ultimately, their job is not about the lesson plans, grades on a report card, or scores on a standardized test. They teach to give their students a brighter future. They don't always get to see the fruit of their labor. They invest their time and energy into their students, often times without a "thank you." They pour their heart and soul into their kids and may not get to see the results. But they keep doing it. And I love them for that. Thanks for being a principal who sees these things in your teachers!